On the advice of our patrons and other supportive MP's and after feedback from the Met Police and with the full support of Paul Flynn MP we have decided to change the Patients at Parliament demonstration in support of his Elizabeth Brice Bill for Medical Cannabis on July 6th in favour of more constructive and effective actions and initiatives. In fact, we are stepping things up and hoping to go IN parliament to engage meaningfully with the people and authorities who can end patients plight and provide us legal access to our medicine. 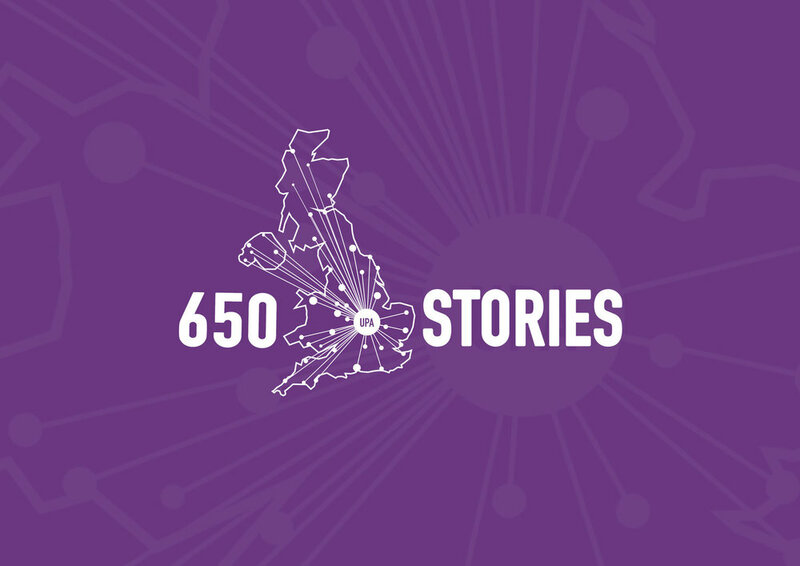 We will have a really exciting new campaign to launch, 650 Stories, together with an improved UPA Patient Survey 2018 assisted by Dr Gary Potter at Lancaster University who spoke about his research on Cannabis Growing in the UK at our Conference in 2017. This time we have the support of a wide number of other charitable organisations including the MS Society. You can download the 2016 Patient Survey which was submitted together with Professor Mike Barnes' Report to the Prime Minister's office along with the APPG for Drug Policy Reform inquiry into Medical Cannabis from here. With the recent announcement of a new APPG for Medical Cannabis, co-chaired by 2 well known, current Conservative MPs and former Government ministers, it makes the #ElizabethBriceBill bill very unlikely to get a reading nor get government support. Along with Paul, we feel that there is no longer anything to be gained from patients putting themselves at risk by being involved in this sort of action, whose goal is to open doors and make ourselves heard. With the new APPG we can say that the plight of cannabis patients has been heard and the door we have been knocking on for so long is now open. Whilst the first Patients At Parliament T-Party event was a huge success, due to the actions and arrests of a few individuals at our 2nd event in February, the Met Police have told us that they cannot approve this event nor make any assurances to patients or anyone else that they will not be subject to arrest. They cannot risk distracting officers from the security of Parliament which is their primary responsibility. We are also very concerned that one patient ended up with a hospital admission suffering from the stresses that were created on the day. This makes us more certain than ever that this kind of action is not helpful and likely to be counter productive and we wish to make it clear that United Patients Alliance are in favour of engaging directly with MP's and other pertinent authorities through discussion, collaboration and negotiation. The door is open and its time to talk. For your own safety and well being, we strongly advise patients and supporters NOT to attend any other gatherings organised for outside parliament on this day. July 6th is the late Elizabeth Brice's Birthday and we are working on an alternative event, somewhere nearby (TBC) along with members of the Brice family to celebrate her birthday and the progress currently being made. In addition, we are hoping to take a sizeable delegation of patients INTO Parliament on the day to meet MPs, including Paul Flynn and Dr Poulter, answering questions about the goals and scope for the new APPG for Medical Cannabis and providing the first of what we expect to be many opportunities for patient's voices to be heard at the highest levels in Government. We will also be looking to launch those new initiatives which will provide the APPG with patient stories and supporting data that will feed directly into their investigations and recommendations. Watch out for more information on all of this as soon as we can confirm plans. Please accept our sincere apologies for any inconvenience or disappointment caused. If you have already arranged and paid for transport for the day then please let us know and we will see what we can do to make it up to you – perhaps you can join the delegation of Patients IN Parliament?